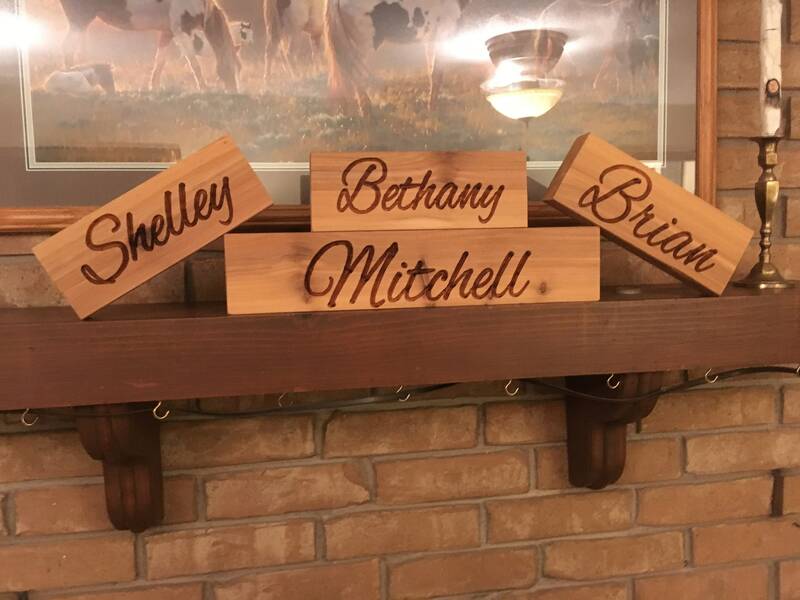 Cedar Blocks with Any Name, Business, Word, Etc. 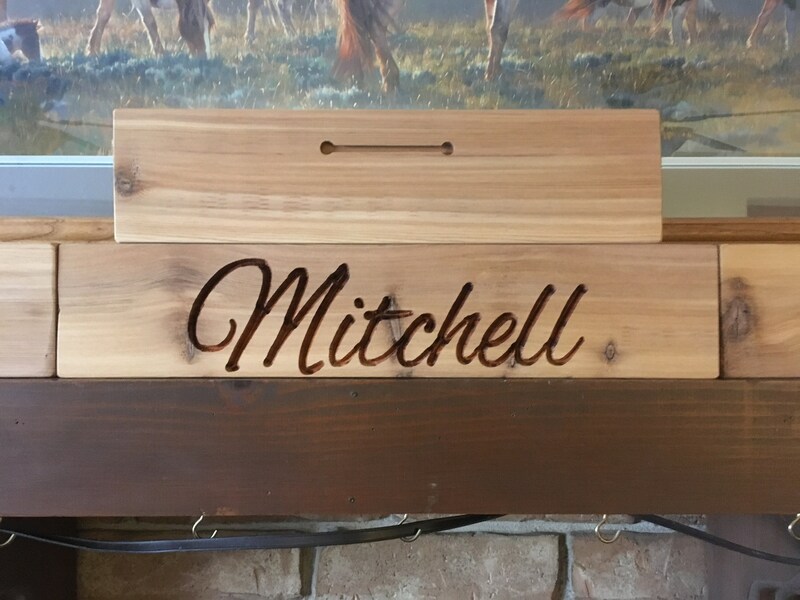 Cedar 2x4 with any word carved into it. Will stand on its own. 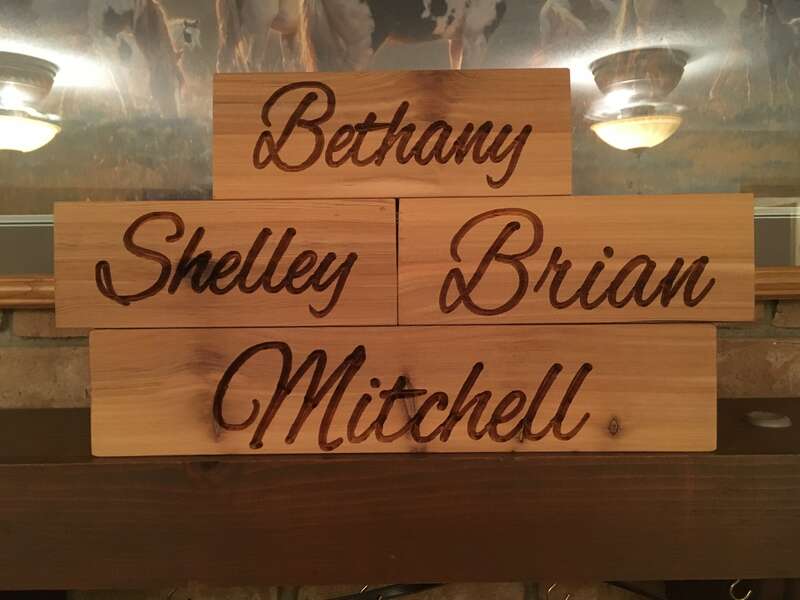 Can be left rough-cut or sanded smooth. 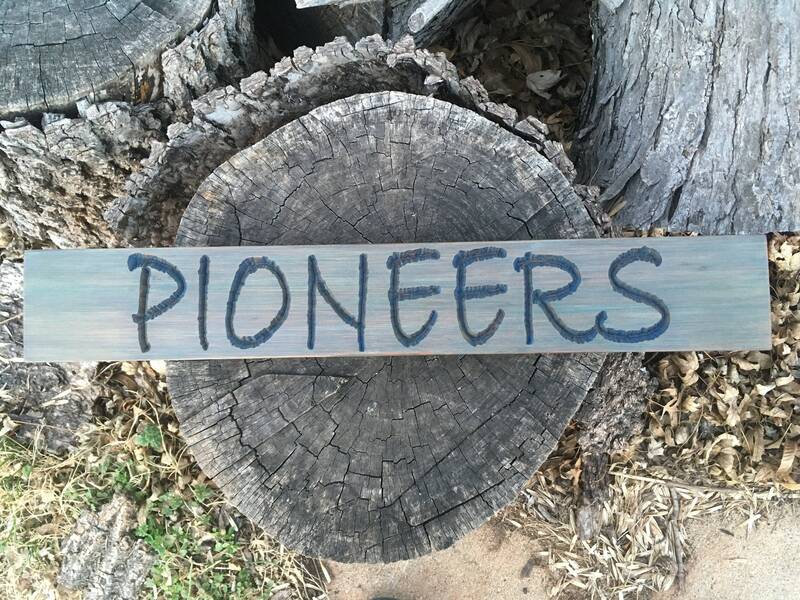 Can be stained or just varnished (tends to darken the wood). Keyhole slot can be cut in back for hanging on a wall. Multiple words in multiple blocks can be arranged in multiple ways. Great for names, greetings "Merry Christmas" "Happy Easter" "Happy Halloween", etc. 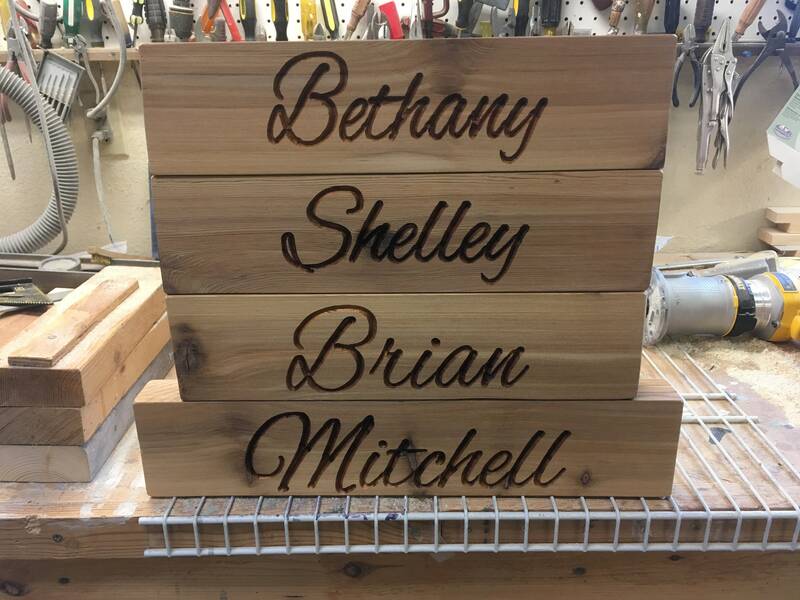 Do one last name and one for each of the family members! Put your company name on a block.